Back to school is here, which means that the cool fall weather is just around the corner. Soon, holiday season will be in full force. As temperatures begin to cool off, the end of summer and beginning of fall can make a great time for scheduling some home exterior maintenance to ensure that your home is fully prepared for winter. If your Charlottesville home needs any of these services, contact our experts at Cavalier Window Cleaning & Power Washing. Let our team of friendly, professional experts handle all your exterior cleaning and power washing needs! The outside of your home endures the elements day in and day out, year round. Whether the weather is sunny, snowy, rainy, or windy, your home exterior is exposed to all of it. As time passes, the elements can deposit dirt and organic material on the outside of your home. Eventually, grime can accumulate and make your home look faded and dull. Worse, left to sit, these dirt and grime deposits can actually damage your home. To avoid any damage to your property, it is always best to have your home exterior professionally cleaned regularly. At Cavalier Window Cleaning & Power Washing, we know that different housing materials have different cleaning needs. Whether your home exterior is made of brick, vinyl siding, wood, or another material, we have the expert knowledge and skills to effectively and safely clean it. If your Charlottesville home is starting to look dirty, dull, or grimy, do not delay in contacting us to set up a home exterior cleaning! Your windows are an important part of your home exterior, and they are exposed to all the same weather elements and organic materials. Over time, windows accumulate grime and dirt just like the rest of your house. However, windows have to be cleaned differently than the rest of your home exterior. Between their screens, sills, and delicate glass, cleaning windows always requires special attention. At Cavalier Window Cleaning & Power Washing, we have detail-oriented window cleaning experts who can help your restore your windows to their best shape! Your gutters are an important part of your home drainage system. When they’re working properly, your gutters catch the rain run-off from your roof and guide it to the ground below in an efficient manner. However, broken or dirty, clogged gutters can pool water, holding it against your roof, eventually causing water damage to your home. Clogged gutters are also prone to overflowing, sometimes causing large amounts of water to pooling near your home’s foundation, risking water damage at the base of your home as well. Plus, dirty gutters are a breeding ground for mold, bugs, and other critters that can eventually invade your home. 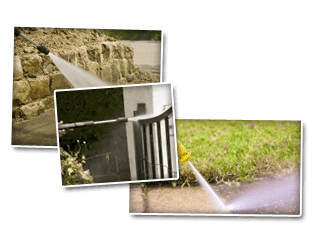 Cavalier Window Cleaning & Power Washing offers full gutter cleaning services. Whether you have unwanted clogs or you just want to protect the integrity of your gutter system, go ahead and take advantage of the impending fall weather to schedule your a gutter cleaning services. Plus, if your gutter is suffering from issues like sagging or leaking, we can help with gutter repairs as well! Contact us today to schedule your appointment. Your deck is an essential part of your home living space. It can be a wonderful place to enjoy a cup of tea on a cool fall evening, or even to host family gatherings as the holidays approach. However, as summer draws to a close, the chances are that your deck has been through a lot since its last cleaning. If your Charlottesville deck needs a professional power washing to get ready for fall festivities, Cavalier Window Cleaning & Power Washing can handle that for you! Contact our polite, friendly staff today for scheduling or for any questions you may have. 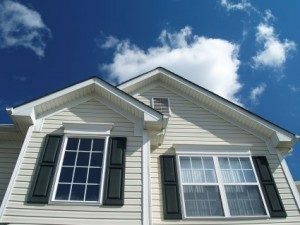 If you need any of these home exterior maintenance services for your Charlottesville area home, we are here to help you! Let us take the stress of fall home maintenance projects off your hands. We can clean your home exterior and windows, as well as your deck and gutters. In fact, we also offer additional cleaning services for your home exterior, so contact us today to see what we can do to help you get ready for fall!